Decades before the IT industry of Hyderabad made it popular, it was one man whose actions towards developing the city and whose wealth put this city on the global map — Mir Osman Ali Khan Asaf Jah VII, the last Nizam of Hyderabad. In 1937, the Time magazine had him on the cover page as the world’s richest man and the fifth richest man in history, with a total wealth of $2 billion at the time. April 6 was his birth anniversary. Born on April 6, 1886, Mir Osman Ali Khan Bahadur ascended to the throne of the erstwhile Hyderabad State upon the death of his father Mahbub Ali Khan, who was the sixth Nizam. He was one of the five princes under the British Rule, who were entitled to a 21-gun salute, and owing to his support to the British during World War 1, held the title ‘Faithful Ally of the British Crown’. He was also the only ruler of a princely state with the title ‘His Exalted Highness’. He was known for his benevolence and for being a patron of education, science and development. His emphasis on education is further reinforced by the fact that 11 per cent of the State budget was devoted to education. ALSO READ: Why The 'Nizam Of Hyderabad' Hailed 'Republic Day' Of India? This, perhaps, is most evident in the fact that most of the public hospitals, colleges and buildings such as Osmania University, Osmania Hospital, High Court building, Kacheguda Railway Station, Town Hall (Assembly building), Moazzam Jahi Market, and more were built during his reign. It was also during his reign that electricity was introduced and roads and railways were developed in the region. He is also known for the establishment of the Begumpet Airport in 1930, making it one of the first airports in the country. In addition to this, Deccan Airways, established by the Nizam in 1945, was one of the first airways in the country. Despite his vast wealth, which was reportedly 2 per cent of the economy of the USA at the time, he is known to have led a fairly simple personal life, as there are several reports that say he restricted his personal spending to £1 a day. Apart from this, Osman Ali Khan was also known to have made huge donations to prominent temples like Yadagirigutta temple, Tirupati temple and the Golden Temple of Amritsar. After the Indo-Pak partition of 1947, the princely states were given the option of choosing to join either India or Pakistan and it was then that the Nizam refused to join either and instead, wanted his 16 million people and 82,698-square-mile territory to be a separate kingdom within the British Commonwealth. 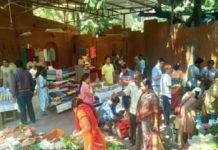 This idea existed till the newly established Indian government sent a division of the Indian Army and a tank brigade in an operation codenamed Operation Polo. Following Operation Polo, Major General Syed Ahmed El Edroos, the Commander-in-Chief of the Hyderabad State army, formally surrendered to Major General Joyanto Nath Chaudhuri of the Indian army, and Hyderabad State was integrated into the country of India. 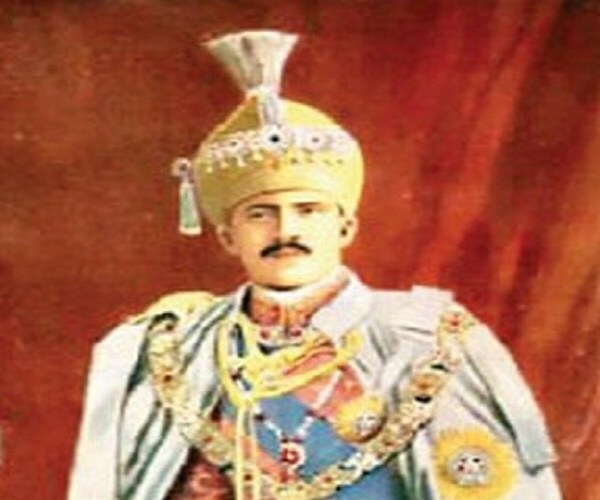 Subsequently, Mir Osman Ali Khan became the titular Nizam. “Even after losing the throne, he continued his efforts to serve the people. 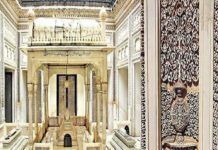 In 1951, he started the construction of Nizam Orthopedic Hospital and gave it to the government on a 99-year lease on monthly rent of Re.1 and in the same year, he created a trust called The Nizam Charitable Trust with a corpus of Rs 5 crore for the poor irrespective of caste and religion,” says Nawab Najaf Ali Khan, a grandson of the Nizam. ALSO READ: Naidu's TDP Has 'Trump Card' To Fight With Modi Govt? Nawab Najaf Ali Khan, grandson of Mir Osman Ali Khan, said the government should recognise the services and contributions of seventh Nizam and officially celebrate his birthday. “The government should recognise his umpteen contributions as his far-sighted vision and judicious judgments transformed Hyderabad into a modern State. He worked tirelessly and always thought of providing the best modern facilities for his people irrespective of caste or religion. The Nizam contributed tremendously to the development of Hyderabad even after its accession by India,” he said. 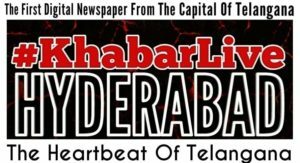 Previous articleHow The Crucial Criminals Information Missing From Telangana Police CCTNS Database?